The baby of the Range Rover range, the Evoque premium compact SUV, has grown up. 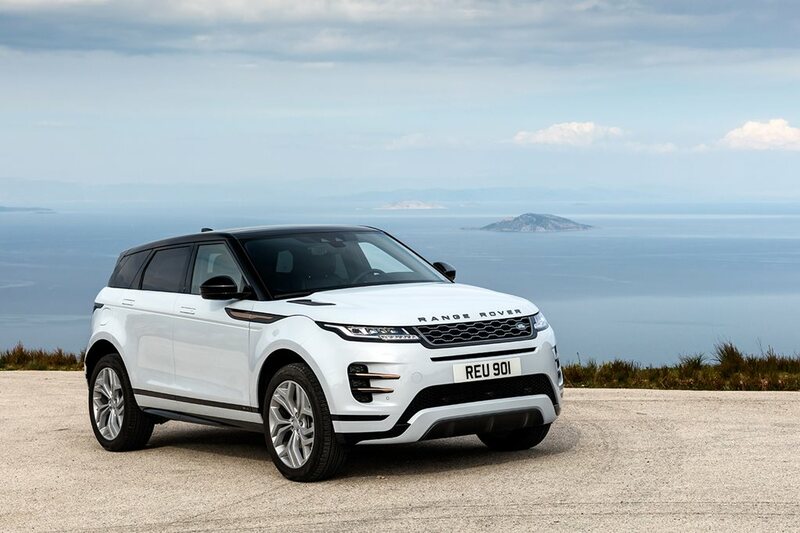 The 2019 Range Rover Evoque due in Australian showrooms from May 2019 not only features advanced technology designed to enhance the user experience, it’s now more eco-friendly and efficient. Range Rover focused its development efforts on delivering real-world benefits like greater space and practicality, as well as improved agility, economy and driveability. Range Rover has also introduced a number of new technologies and updated existing systems to improve the Evoque’s capabilities both on-road and off-road. The new Range Rover Evoque goes on sale from May 2019, with prices starting from $62,670 for petrol models, and $64,640 for diesel models. An incredible 26 variants of the new Range Rover Evoque will be offered for sale in Australia from May – a number Land Rover Australia said it worked hard to keep to a minimum. There are two basic drivetrains - 2.0-litre turbo-petrol and 2.0-litre turbodiesel, drawn from Land Rover’s Ingenium engine family – both offered in a variety of power levels, and sometimes in combination with an electric motor and battery pack, which Range Rover says improves real-world driveability and stop-start smoothness, and reduces fuel consumption by up to six percent. All Range Rover Evoque models this time around are five-door wagons with a nine-speed automatic transmission and all-wheel drive. The three-door bodystyle and front-wheel-drive options have been dropped. Range Rover says there was very little demand – “less than three per cent of sales” – for the three-door, and any advantage to fuel economy that front-drive models offered can now be matched by a clever drivetrain system which effectively disconnects the rear axle when it’s not needed. There’s also no sign of the controversial convertible model making a comeback in the new range, either. This 2019 Range Rover Evoque is a complete overhaul; nothing but the door hinges are carried over from the original Evoque which launched back in 2011. The exterior design is similar, no question. But put the 2019 model next to the 2011 original and the differences are obvious. While both share the Evoque’s trademark falling roofline, rising beltline and long wheelbase – three styling elements that define the Evoque, says Land Rover design boss Gerry McGovern – the 2019 model is cleaner and more mature. It also inherits Range Rover’s trademark front-end styling first seen on the larger Range Rover Velar, as well as those cool retracting door handles. The ‘hand-me-downs’ continue inside the new Range Rover Evoque, with the Velar’s twin touchscreens taking pride of place in the centre console. The software interface used to run all the systems – climate control, entertainment, satellite navigation, communications, etc – is a newer version of the Velar’s, which now includes the ability to receive over-the-air updates. This means owners will get new features as they become available, without having to visit a dealership. One criticism of the original Evoque was its interior space… or, more precisely, the lack thereof. The fact that the new Evoque is almost exactly the same size as the original – 1mm longer, 4mm wider and 11mm lower, if you must know - doesn’t bode well for improvement, but that’s not the case. There’s more legroom in the rear and more practical boot space, too, including enough width to fit a set of golf clubs. Door openings have been reprofiled to allow easier access for passengers. Headspace, too, is adequate in the front and rear. Range Rover was very deliberate about retaining the original Evoque’s external size, despite the company investing in an all-new platform (which could easily have been made bigger), because customers told them the Evoque’s 4.37m length made it easier to manoeuvre and park. Unusually for all-new cars, the 2019 Evoque is actually heavier than the model it replaces, by up to 66kg on some models. Range Rover says some of that weight is accounted for by the MHEV system, and that it has combatted any flow-on effect of the extra weight on fuel consumption with drivetrain efficiencies and aerodynamic tweaks (such as more rounded rear corners). The Evoque’s interior party tricks are many. Two that really stood out to me are the rear-view mirror, which looks utterly conventional, and works exactly like a mirror…until you flick the dimmer switch. Then it transforms from a mirror into a high-definition TV screen, hooked up to a camera mounted inside the shark-fin on the roof. This may initially sound gimmicky, but it means back seat passengers or large luggage loads no longer block the driver’s rearward view. Effectively, you see right through them to whatever is behind the car, just like X-ray vision. This is a competitive edge for Range Rover that no other Evoque rival can match. The second party trick is also a significant real-world safety feature, and was originally devised to make offroading easier. Cameras mounted under the front of the car project the scene immediately in front of the vehicle onto one of the dashboard screens, effectively rendering the bonnet invisible. This will come in handy when parking in tight spaces, manoeuvring around gutters or obstacles, or in any situation where up to now the bonnet has blocked vision. Cameras down the side and one at the rear provide similar views of objects to the car, effectively giving the driver full 360 degree awareness. The new Evoque also pushes further into sustainable, eco-friendly technologies, in obvious ways and not so obvious. One of the latter is the Kvadrat seat upholstery, which is made from recycled water bottles – 53 per cabin, we’re told - combined with wool fibres to deliver a convincingly premium interior trim. There’s also a Eucalyptus upholstery option produced from natural fibres, for those who don’t want to sit on Evian bottles or animal by-products. In all, Range Rover claims up to 33kg of natural and recycled materials are used in each Evoque, taken from post-consumer and post-industrial sources. All Range Rover Evoque come standard with 10-way electric front seats, cruise control with speed limiter, dual zone climate control, satellite navigation, and a six-speaker sound system with Bluetooth, Apple Carplay and Android Auto. Standard safety includes a full complement of airbags, auto emergency braking, stability control and lane keep assist.